Grilled Olives with Fennel and Orange (Paleo, Whole 30, Gluten Free) | Healthy. Delicious. Warm grilled olives with fennel, orange zest, and red pepper make a great summertime appetizer with minimal effort. I have a major weakness for olives. I can’t help myself — if I see them on a menu, there’s a pretty good chance that I’ll end up ordering them. Roast olives are especially magical. The flavor mellows out and gets super buttery and delicious. I’ve roasted them with everything from potatoes and chorizo to salmon and I’ve never been disappointed. A few months ago I stumbled upon the cutest pizza place in Hudson, NY, called oak. You can imagine my excitement at seeing that they had a wood roasted olive appetizer on the menu. Swoon. I got those and Shawn got some anchovies (to each their own but anchovies aren’t my thing) and we were both in heaven. Their pizza was also fantastic. I can’t recommend the white mushroom pizza with capers and garlic highly enough. 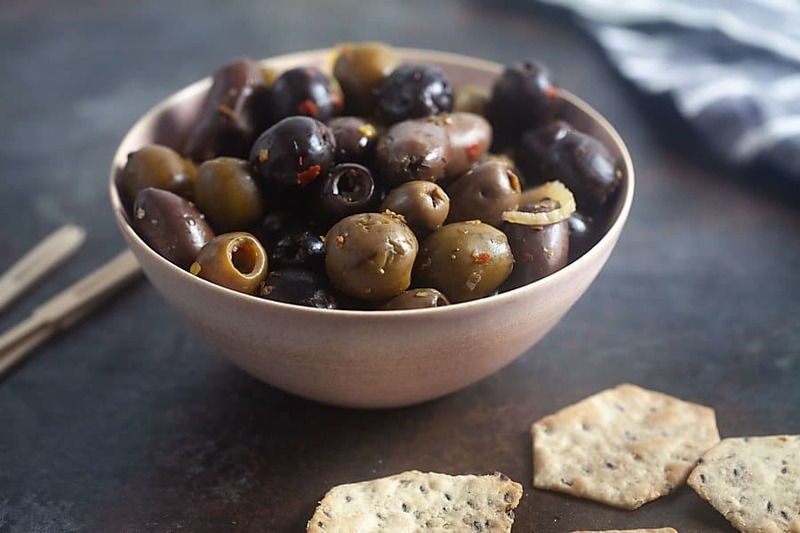 When I was looking for an easy party snack the other day, my mind immediately went back to those wood roast olives. 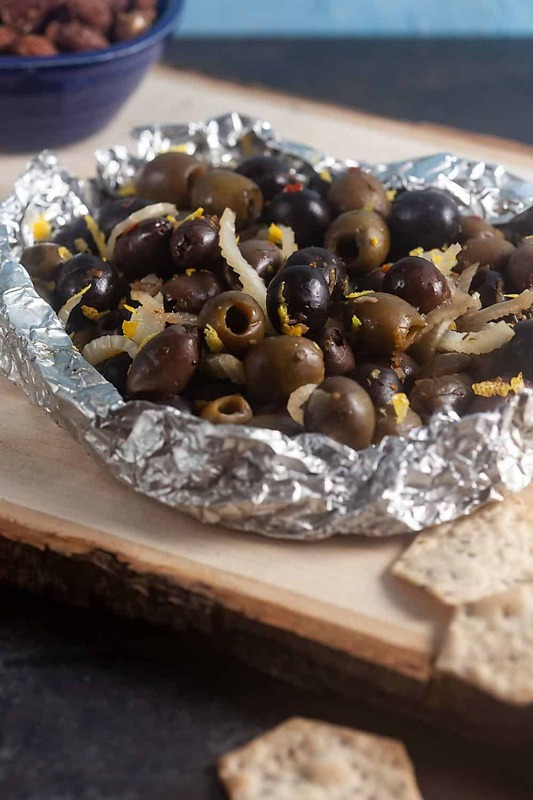 With a few tweaks, I ended up with a foil pack grilled olive appetizer recipe that knocked my socks off. I used a combination of black, green, and kalamata olives and wrapped them up with thinly shaved fennel, garlic, orange zest, and red pepper flakes. Then I grilled them just long enough to soften the fennel and bring out the warm, buttery flavor of the olives. 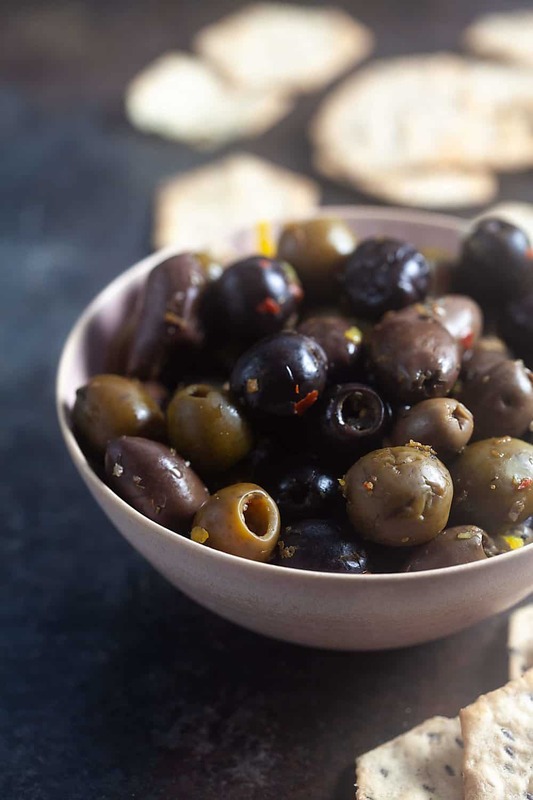 These roast olives are delicious on their own as a snack or served with crackers or baguette like a chunky tapenade. 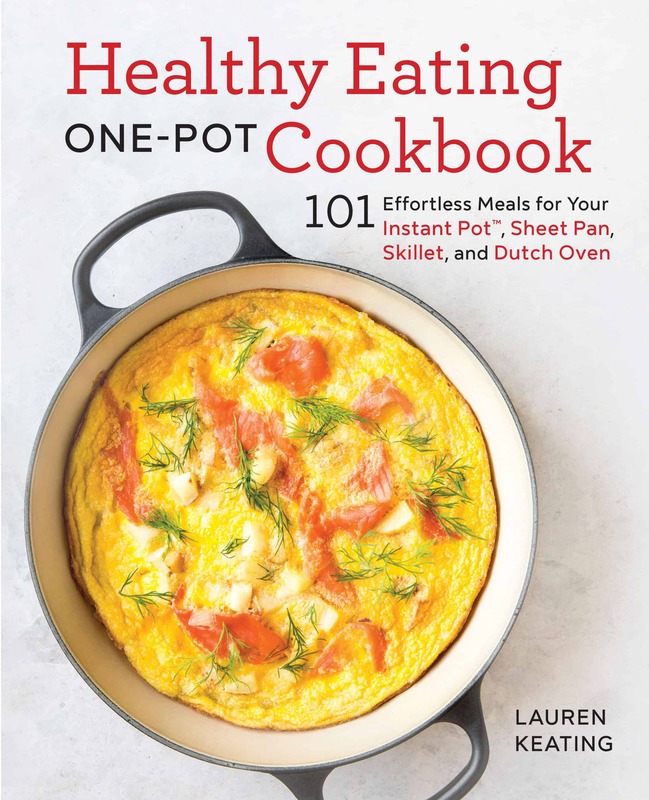 They’re also fantastic spooned over grilled fish or roughly chopped as a sandwich spread. 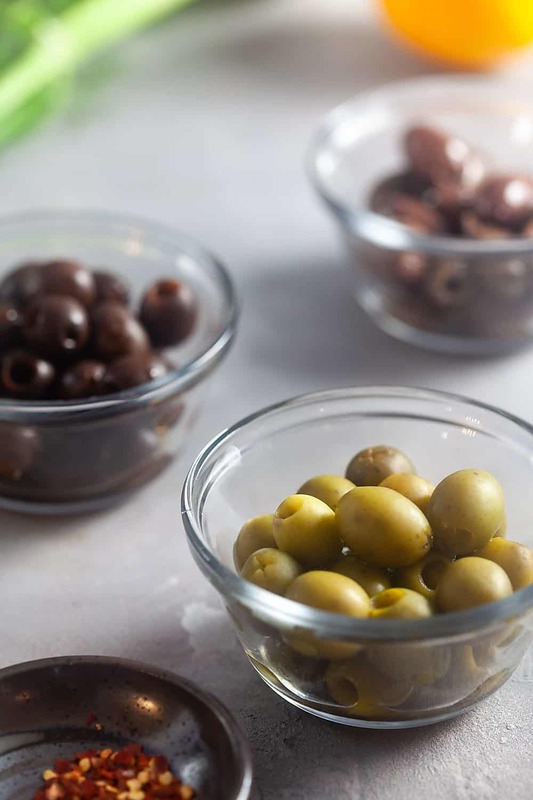 Look for high-quality olives packed in either oil or water for this recipe. Combine all ingredients on a piece of heavy-duty foil. Fold the edges of the foil around the olives to enclose them. Grill on high heat for 10-15 minutes, or until the olives are warm and the fennel has softened. This looks so yummy! I have never grilled olives before but it looks delicious! 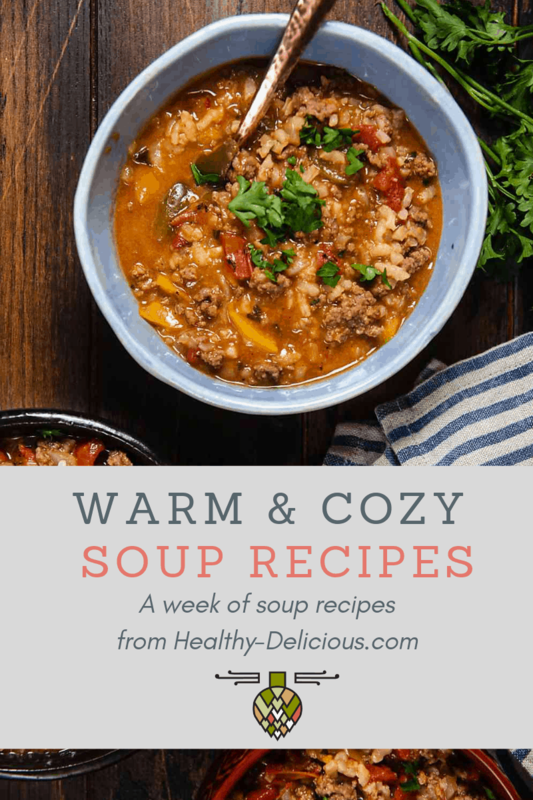 These sound incredible, I love the combinations of flavors!